HAMMOND AIR CONDITIONING LTD custom designs & manufactures air conditioning systems for off road mobile equipment in construction, MINING, forestry and agricultural applications. We are also a Canadian Distributor for Sigma HVAC replacement parts & Anti-Idle solutions. Harte Gold Corp. (“Harte Gold”) is Ontario’s newest gold producer through its wholly owned Sugar Zone Mine in White River Ontario. Exploration continues on the Sugar Zone property, which encompasses 83,850 hectares covering a significant greenstone belt. Harte Gold also holds the Stoughton-Abitibi property, located in the Timmins Ontario gold camp east of the Holt Holloway Mine. Since 1970, Henninger’s Diesel sells, services and re-builds DEUTZ ( and now Toyota & Kubota) Industrial engines & parts for mining & industrial equipment We also re-build diesel fuel pumps & injectors. Hepburn Engineering Inc., based in Toronto, Canada, is a recognized leader in the design and supply of Mining, Marine and Industrial Equipment to clients around the world. Hexagon (Nasdaq Stockholm: HEXA B) is a global leader in digital solutions. Hexagon’s Mining division solves surface and underground challenges with proven technologies for planning, operations, and safety. UGT Group designs hand held hydraulic rock drills for distribution and service by HI Mining. HI Mining has the most advanced hydraulic drive Jacklegs, Stopers and Drills on the market. Highvec is based in Timmins, Ontario, a center for the Canadian mining industry. We provide a unique cleaning system for power distribution components. Our cleaning process cuts costs by eliminating expensive repairs, minimizing downtime and reducing the possibility of injury. 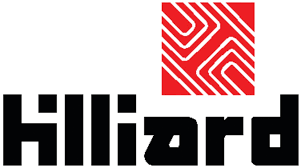 Hilliard Brake Systems offers an entire range of industrial modular, caliper, rail, and electric brakes. Additional product offerings include power units, mounting brackets, discs and hubs. Made in America, Built for the World! MUCK - Since 1999, The Original Muck Boot Company has been enabling consumers to live an active, outdoor lifestyle, undeterred by the elements. Waterproof, weatherproof, whatever-proof. We put proof in every pair. Honeywell Industrial Safety is a leading supplier of footwear, offering the most comprehensive safety footwear product lines in America with over 400 years of industry history and a diverse product line to meet any safety footwear need. Hoskin Scientific has been supplying testing and monitoring instrumentation to the Canadian market for over 70 years. We provide solutions for testing and monitoring of, but not limited to, rock mechanics and mineralogy, mining, concrete, aggregates, soil, asphalt and petroleum products.